Congratulations to our 2019 Champions! 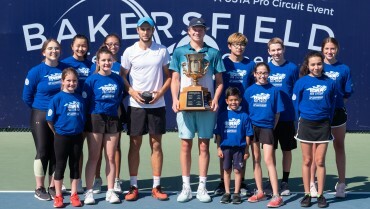 Sponsors of the Open and Members of the Bakersfield Racquet Club are proud to congratulate our 2019 Mens Singles Champion Jenson Brooksby for an incredible match against Finalist Aleksandar Vukic. 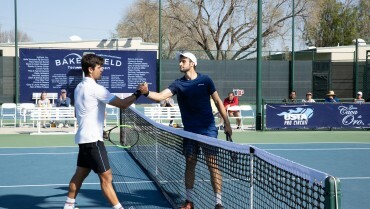 Our doubles Champions Martin Redlicki and Evan Zhu also had a difficult match and displayed fantastic skill for a packed crowd of lucky spectators. 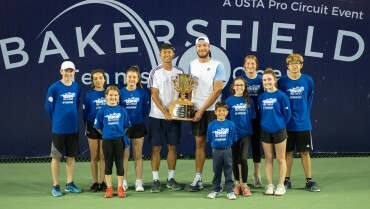 The first years of the Bakersfield Tennis Open have already produced no less than fifteen players who have participated in at least one Grand Slam tournament. Of particular note are Taylor Fritz, the 2nd-fastest American ever to reach an ATP final, accomplishing the feat in just his 3rd career event. Taylor played in the 2014 Bakersfield Tennis Open and also competed in each of the 2016 Grand Slams. Mate Pavic, a Croatian who also played in the 2014 Bakersfield Tennis Open, has played doubles in eleven out of the last twelve Grand Slams. The 2015 Bakersfield Tennis Open Champion, American Francis Tiafoe, has participated in each of the four Grand Slam tournaments. The top seeded 2016 player, Somdev Devvarman of India, has played singles in fourteen Grand Slams and doubles in six. 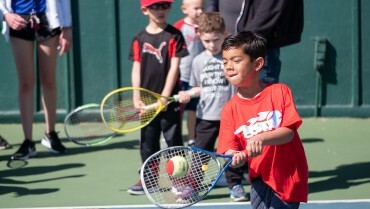 Clearly, the level of tennis played during the Bakersfield Tennis Open is rather conducive to a Grand Slam future!